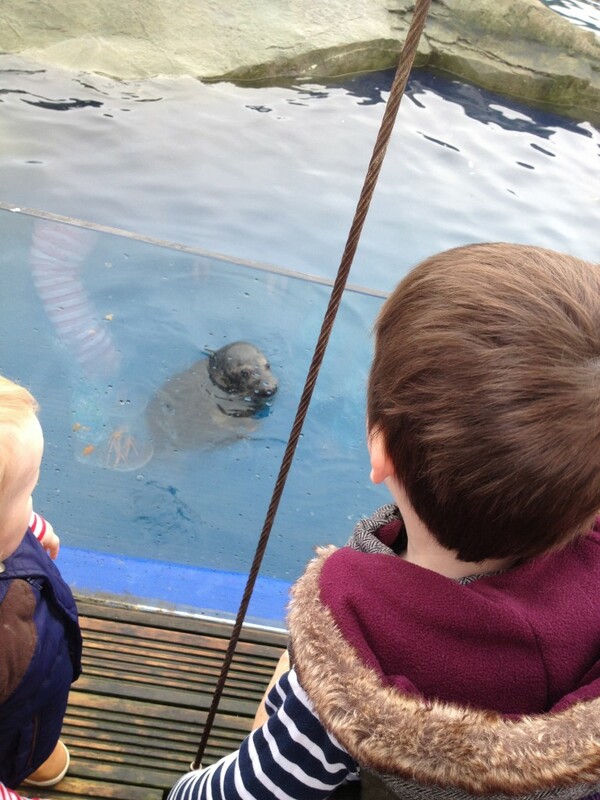 One seal in particular took an interest in Toby and was ‘smiling’ at him! It can be so hard sometimes to think of a fun day out with the kids in bad weather, especially when they are the same age as mine (aged 2 years 10 months and 15 months). They can’t really stay tuned into anything for too long, and I get so fed up of going to play centre after play centre. 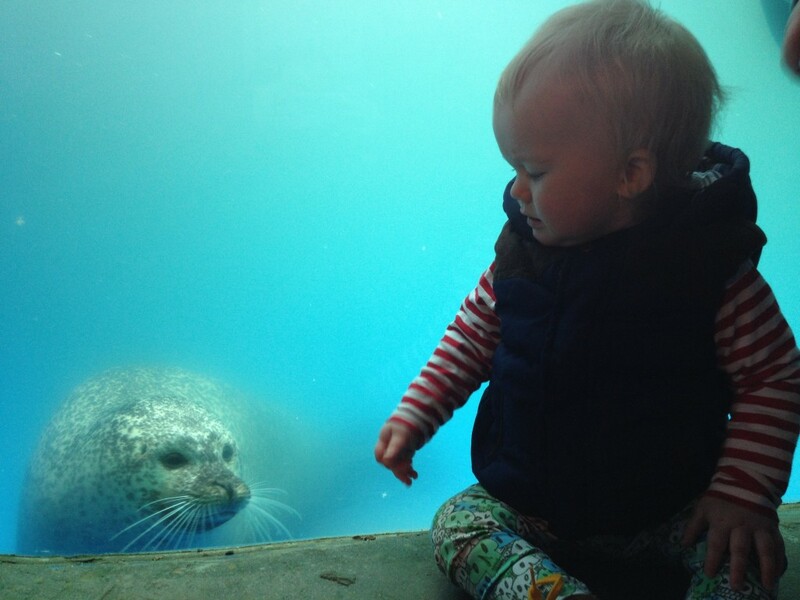 Most Zoos are all outdoors so are off limits, but aquariums are generally inside, where its warm and dry, and their is a plethora of things to engage a young mind (even one that can’t interact properly yet).  Nearly every area has either a Sealife centre or aquarium near by and we are no exception with Scarborough Sealife Centre about 30 minutes away. 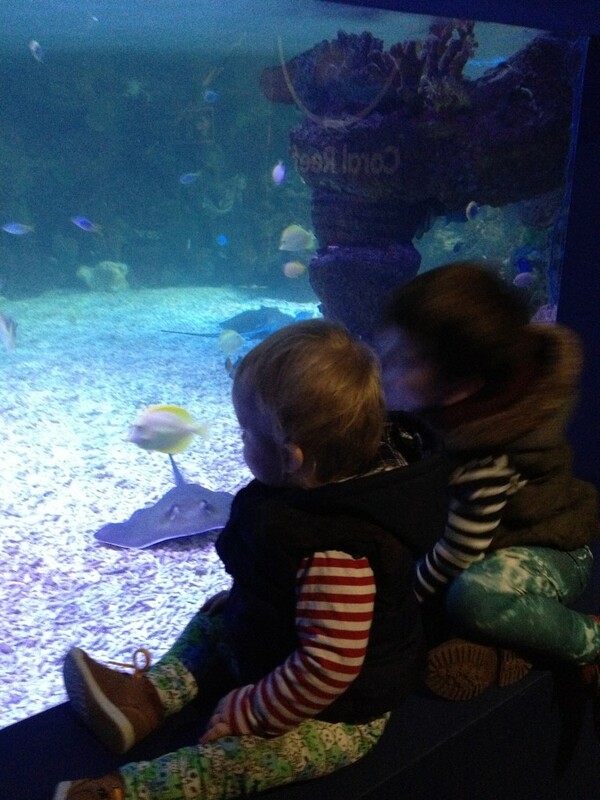 On a Wednesday my Mum & I would usually go to a big play centre nearby, but with the boys being poorly over the days previous, I opted to take them to the Sealife centre instead – just in case they still weren’t 100% they were unlikely to come across many other kids or pick up other bugs! 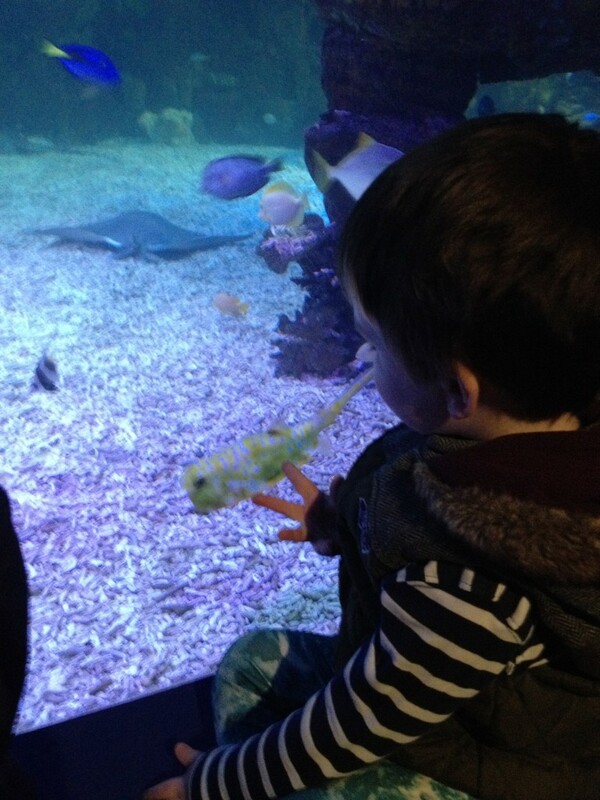 There was so much for the boys to enjoy and it was a great trip out for both Reuben, who could interact with the educational things a bit more, and Toby, who enjoyed the movement of the fish and the colours of the tanks. 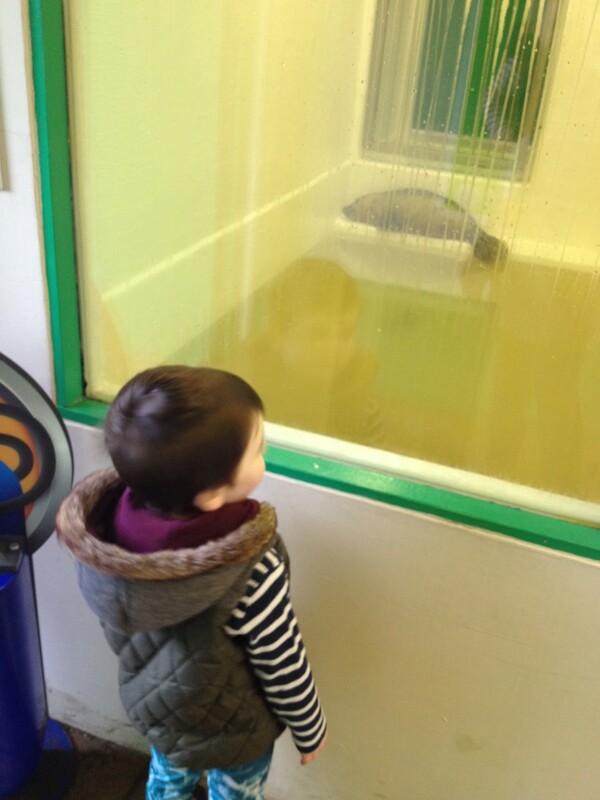 Spotting fish in the big tank – this one had a huge Turtle! So many beautiful fish, it was great for the kids to see. 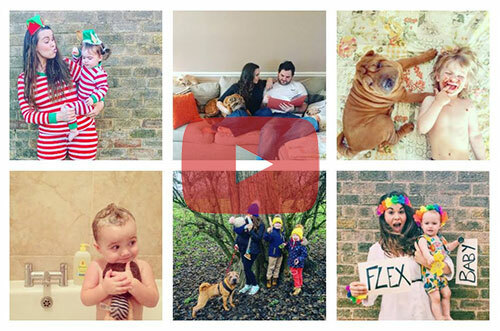 Seal hospital was Reuben’s favourite part! Sealife centres have a seal rescue program and Seals that can’t be rehabilitated are kept at the sanctuary, so they are super friendly and come right up to the safety screen. 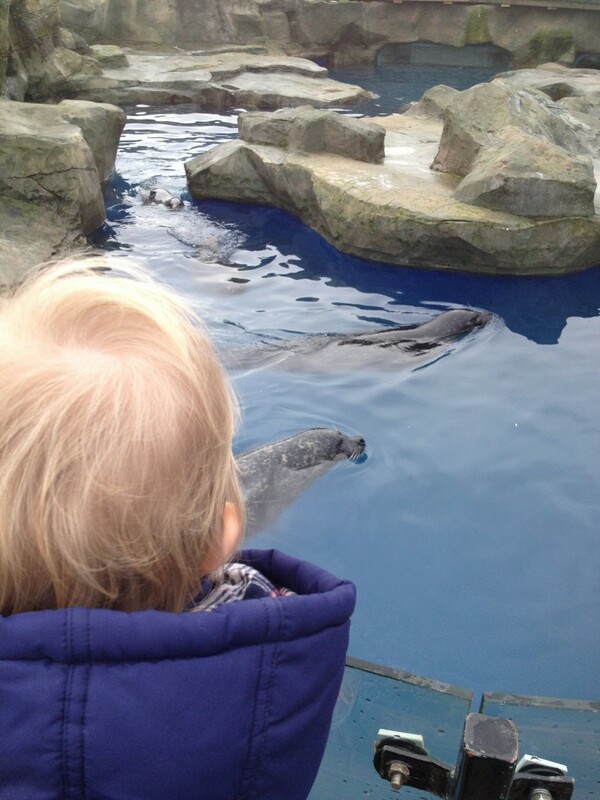 Despite the cold weather, it was worth it to have a quick look at the seal sanctuary! 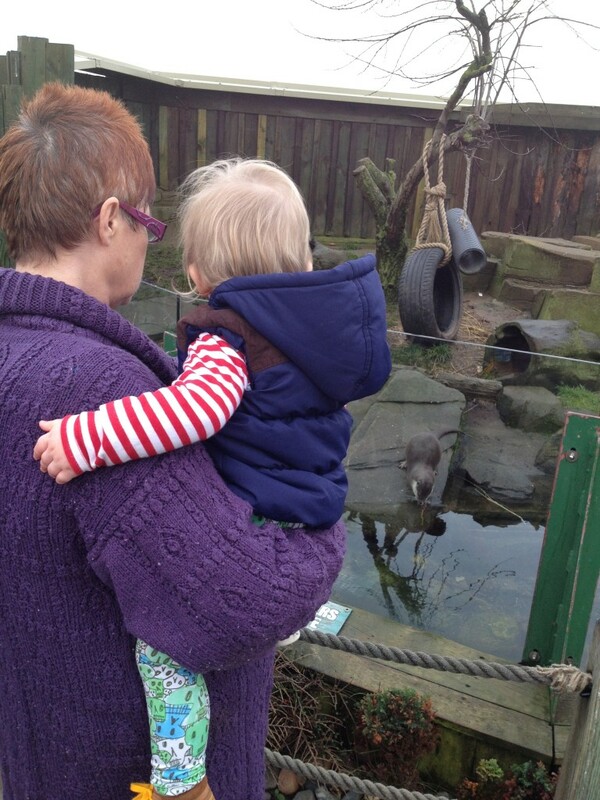 Toby liked the otters best, they were called Eric & Pumpkin – how cute!? Sorry for the barrage of photos, but I took so many and we had such an enjoyable afternoon, it really is something that you can do with a child of any age. The boys had a great time, and at our Sealife centre there was a cafe and little play area at the end, something the boys were delighted with and so were we!